For their ocean view wedding at Stone Manor Estate in Malibu, CA, this couple chose an organic, natural look for their invitation stationery including a recycled paper envelope, coral design accents, white lace and twine. 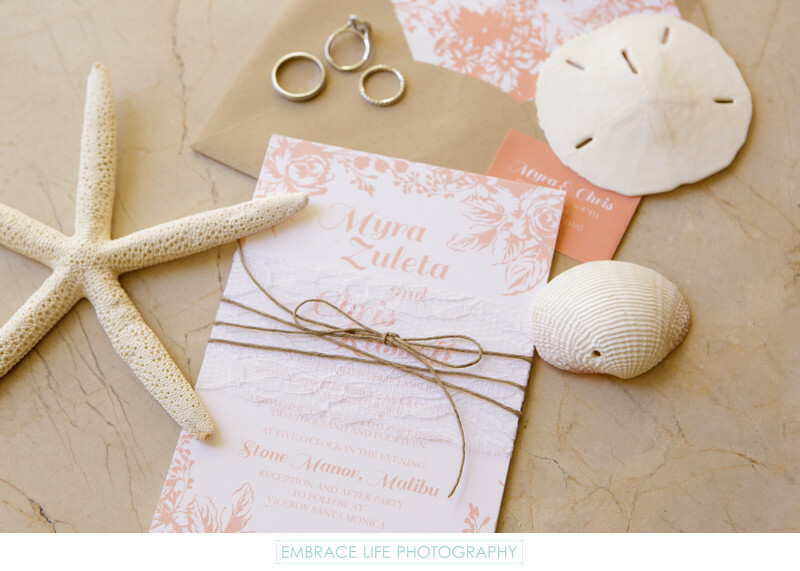 The wedding invitations were neatly arranged with the bride and groom's wedding rings and beach accents including a star fish, sand dollar and seashell. Location: 6219 Porterdale Dr, Malibu, CA 90265. Keywords: Details (1125), Rings (69), Stationery (78), Wedding (1437).